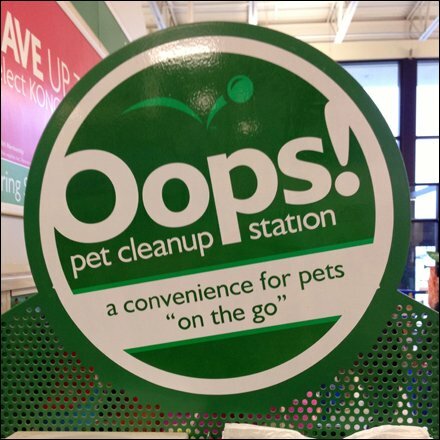 This Pet as Retail V.I.P. Cleanup Station is better outfitted than many human amenity offerings. It features paper towels, pickup disposal bags, spray cleaner, human hand sanitizer, a disposal bin, and slippery floor barricades. For readers who believe in reincarnation, it seems obvious you should return as a pet, for a taste of the good life in retail treatment. See the Pet as Retail V.I.P. Cleanup Station gallery to step through various views.